1 Karte : Kupferdruck ; 29 x 21 cm Ortelius s.n. Description: The Mediterranean Coast of France, from the Spanish frontier to the Italian frontier. Beaches & landrings. 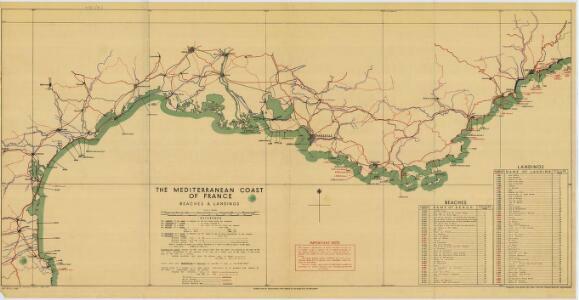 Compiled and drawn by Inter-Service Topographical Department. G.S.G.S Misc. 50.